Today, Julio Teheran is a fourth or fifth starter on a young Braves rotation who might not be with the team for much longer. His performance in the past few years has diminished tremendously. Once a future star of the franchise, Teheran now has a higher likelihood of getting traded than performing like many thought he would. The Braves signed Julio out of Colombia in 2007 at 16 years old. Pitching through the minor league ranks, Teheran drew praise from both inside and outside the organization. Atlanta has always drafted and further developed good pitchers, but Teheran looked to be the best of the bunch from an early age. Finally, in 2011 at the age of 20, he made his major league debut against the Phillies. While it wasn’t amazing, he showed a lot of promise as a young player competing against a major league team. In response to this and the unbelievable work done in Triple-A Gwinnett, he vaulted to the number 4 spot in the Mid-Season MLB.com Top Prospects List. He trailed behind Mike Trout, Bryce Harper, and Matt Moore, respectively. That was as high of praise as any Braves prospect had in years. His repertoire consisted of a mid-90s Fastball, a plus Curveball, and an excellent Changeup. In addition, he had a great mound presence. He also had great command and had a frame that was able to add on weight and get stronger. Julio would throw his Curveball for strikes. He could throw his Fastball to all sides of the plate. He would throw his Changeup low and inside to right-handed hitters to force a swing and miss. Teheran could use all three pitches in any count to get a batter out. He really was the next Braves ace that fans were accustomed to seeing in the late ‘90s and early 2000s. However, things did not turn out the way everyone had hoped. A major league starter needs four or five strong pitches to be successful over an entire career. Unfortunately, Teheran began throwing only three pitches. Because of this, in 2013, he learned how to throw a Sinker and Slider in addition to his other pitches. Sadly, this meant he threw his Changeup less and less, which was arguably his best pitch. The Four Seam also dropped about 20 percentage points in usage. While he was learning, he still kept good command, with just under 53% of his pitches landing in the strike zone. He could also generate swings and misses with a 49.7% swing percentage. That meant he was throwing strikes or making people miss when the ball finished outside the strike zone. Within the last year, those numbers have declined to 42.4% and 43.1% respectively. These results show how Julio has not lived up to the hype he once deserved. His command has dropped off a cliff, and while he was never a flame thrower, his velocity has plummeted as well. His average Fastball went from 93 miles per hour to 90.4 miles per hour, all in his “prime” baseball years. There were games in 2018 when he could not throw the ball above 89mph. To an everyday human that is impressive. Teheran, however, is not. He is a major league starting pitcher who was 27, and that simply cannot happen. High school pitchers throw harder than Julio has the past couple seasons, and that is not something that is said proudly. Another thing that has plagued Teheran has been homeruns, especially at home. The first season at SunTrust Park was the worst season of his career on that front. While better at home since then, he still needs to regain the confidence he had when he came into the league. Without that, there is not much the Braves organization can do for him or with him. 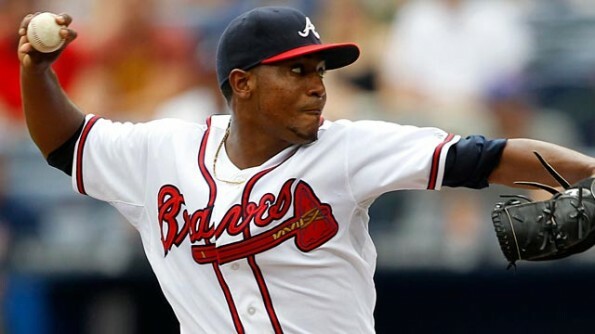 Julio Teheran was a pitcher coming into the league who many had high hopes for. As the second highest ranked pitching prospect in 2011, he was to be a mainstay in the Braves rotation for years to come. Things have not yet panned out. While he is only 28 years old and still has time to regain his hype, the best thing for him is a change of scenery. Atlanta has too many young arms in the minors knocking on the door to take his rotation spot. With a change, hopefully he can go back to his early days and remember what got him here in the first place; his great control and swagger. We wish the best for Julio, we just don’t know how long he has left in Atlanta.